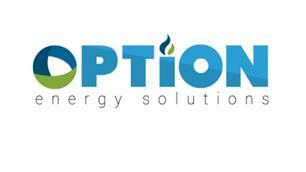 Option Energy Solutions Ltd - Central Heating Engineer, Plumber based in Steyning, West Sussex. Hello and thank you for visiting our Checkatrade page. My name is Michael Paini and I set Option Energy Solutions up in 2012 after 15 years in the trade, and 4 years as a qualified gas engineer. I am the lead engineer and director and I employ a small team of highly skilled gas and renewables engineers that I work alongside. We started out offering only plumbing and heating services, installing and maintaining heating and hot water systems and bathrooms, but have more recently evolved into a more energy conscious company. Around the end of 2015, I started to become more aware of environmental issues. I watched just about every climate change and environmental documentary I could find and I was soon in no doubt that we humans are having a catastrophic effect on the planet. I also realised that while the weight of change is on governments, we as the people can also do our bit, and me owning a gas installation company could really make a difference to the way we use energy. We have undergone further training, made new partnerships within the renewable energy sector and are now proud to offer heat pumps, solar thermal services. Finance options available. We are pleased to confirm that Options Energy Solutions Ltd are now officially recognised as an Introducer Appointed Representative for Improveasy Finance Solutions. We appear on the FCA register and have our own unique FRN ref 814991. Heating controls - We specialise in Honeywell controls, from the basic user friendly T4, to the simple and excellent T6 smart stat, to the highly intelligent multizone system Evohome. We are also huge advocates of Vaillant controls for Vaillant boilers, from the V Smart smart thermostat, to the highly intelligent and adaptable VRC700 and multizone Ambisense. We also carry out full plumbing and heating installs for builders and developers as well as the occasional bathroom renovation with full project management. Call us today to discuss your project or to or make a booking. Please note, we do not attend faults free of charge. We charge an attendance (please call for details)fee and this includes 1 hours labour in which we can make a diagnosis or a 'no parts' repair. We quote for anything further that is required, so that there are no surprises. We believe in treating all of our customers fairly, and the foundation of this is good communication.